GlassesUSA Review: Safe Place To Buy Glasses? Online scams are as real as a heart attack. Sometimes you just pray you don’t get an actual heart attack when you lose money. You probably feel the same way and that’s why you’re going through a couple of GlassesUSA reviews to know whether they are what they claim to be. If you want the truth, then read our GlassesUSA review and find out. Unfortunately it’s not always pretty. GlassesUSA found online at glassesusa.com is an online retailer of all things eyewear including prescription and non-prescription eyeglasses, sunglasses and accessories. Wikipedia says GlassesUSA was founded by Daniel Rothman, Eldad Rothman and Roy Yamner in 2008 as part of an Israeli optical lab company by the name Optimax Investments. GlassesUSA is currently headquartered in New York, NY. What Types Of Glasses Does GlassesUSA Sell? As mentioned earlier, the company sells prescription and non-prescription eyeglasses and sunglasses. Here’s what you can buy from GlassesUSA. You have the option to select the frame’s material, size, color and style. They also stock poplar brands like Ray-Ban, Oakley, Arnette, Tom Ford, Diane Von Furstenberg and Calvin Klein just to mention but a few. As with the case with similar glasses companies doing business online, GlassesUSA has a try-on virtual mirror that basically helps you see how each frame would look on you. You just have to upload an upright photo of you facing forward. Once you do that you can now select the frame and lens from the available options. To buy prescription lenses, you’ll first fill choose the lens you want and then fill out your prescription. They claim that they have every type of lens there is. Once you’re through, add everything to your cart and checkout. How Do I Get A GlassesUSA Prescription? GlassesUSA doesn't help you get a prescription, but you can either upload a photo of it or feed in the details on their online web form. Either way, you’ll have to get your prescription from your own eye doctor. Where Can I Buy GlassesUSA Online Glasses? You can buy GlassesUSA glasses off their website. You can also get their sunglasses and non-prescription eyeglasses on Amazon.com. On their website they claim that they have a best price guarantee where if you happen to find a better deal elsewhere they’ll match that price, and throw in an extra 10% discount. 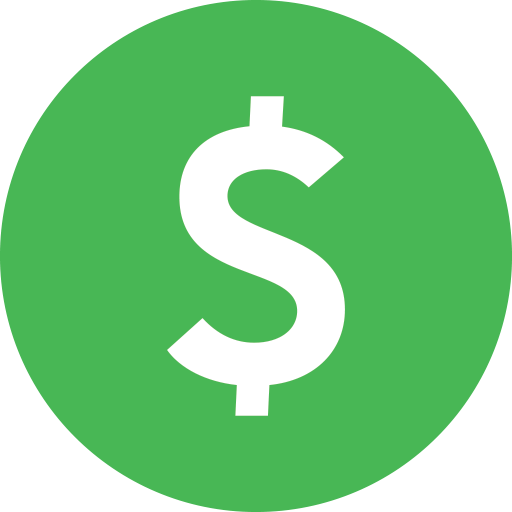 Another awesome way to save money while buying stuff is joining sites like EBates.com where you earn cash back and they have tons of coupons you can use. SwagBucks.com is another great place to start. They allow you to earn free gift cards and cash for things you already do online like watching videos, playing games and visiting websites. You can use the cash or gift cards to save on GlassesUSA website or any store you shop at online or offline. How Much Do GlassesUSA Online Glasses Cost? Most eyeglasses fall within the $50 and $100 range including lenses. But that quickly changes after you bang out your lens options and extra preferences. Sunglasses go for as little as $30 and as much as $200, while accessories including string cords, hard cases and lens cleaners cost $5 at the very least. Standard 7-10 business days shipping to the US and Canada is free, but you can use express and expedited shipping at a fee. Expedited shipping within the US costs $9.95 and it takes 5-7 business days to arrive. Express shipping costs $12.95 and that will take 3-5 business days according to them. But if you order on Amazon you can get your order faster with the FREE Guaranteed 1-2 Day Amazon Prime delivery. International shipments take up to 14 days and will cost you anywhere between $21.95 and $24.95. You can read all about that here. You have 14 days to let them know you need to return or exchange your purchase. If your glasses arrived damaged, or you just don’t like what they sent, go here with your order ID to get sorted out. They say you’re entitled for a full refund if you claim it within 14 days. You may have to settle for 50% store credit or a gift card if you claim a refund after 14 days. Again, all glasses come with a 365 day warranty and if they break within that period you’ll get 50% store credit excluding shipping cost. But that doesn’t cover accidental breakages and normal wear and tear. If for any reason you feel like giving customer service a buzz, they say they are available by phone on 1-844-244-1186 and live chat all day every day. You can also email them on service@glassesusa.com. If you've ever lost money online, then you may want to read what customers out there are saying about GlassesUSA. So we laid out any dirt we found about this company in this section. A good number of customers say the lenses are flimsy and break easily. This doesn't seem to matter even if you buy the really expensive options. Some say the hinges don’t have an outward flexibility while others say the plastic frames feel cheap and ready to break at the slightest fall. It seems the GlassesUSA customer service people could care less about their job according to some of their customers. The issue seems to start if you request a “refund”. They’ll either give you a hard time when asking for your money back, especially if you purchased an item that was discounted. Other have complained that their customer service does little about lost glasses, delayed shipments and damaged orders. Obviously this type of customer service is totally the opposite of Amazon.com. Often times they provide “first-customer offer” or or percentages off your glasses for an action on your part. Well, those discounts may not actually be reflected on your credit card balance. We came across a bunch of complaints saying that the company ends up charging your credit card the full price rather than the discount that was promised. You only realize this when you look at your statement. Could Shipping Be Any Slower? Apparently some people have complained about delayed or lost items. Others have had to wait months in some cases. Fortunately Amazon gives you FREE Guaranteed 1-2 Day Amazon Prime Delivery. I wouldn’t blame you if you decide to forget GlassesUSA ever existed. Well, Zenni, EyeBuyDirect and Warby Parker are worthy alternatives to consider. Feel free to read our Zenni review here, EyeBuyDirect review here and Warby Parker review here. 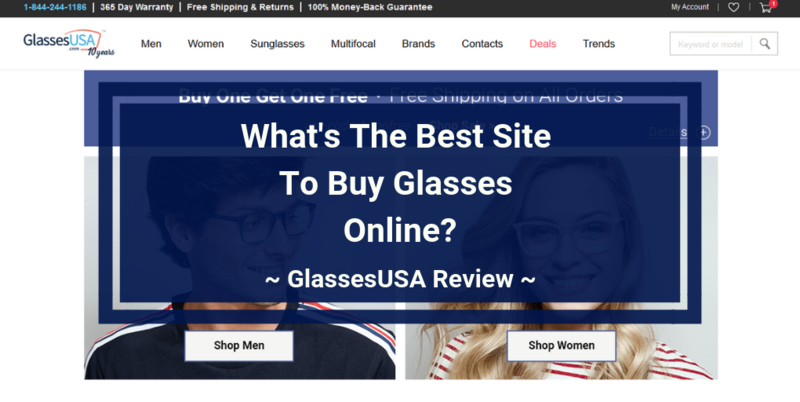 Should You Buy GlassesUSA Glasses Online Or Not? I wouldn’t recommend GlassesUSA, and here’s why. If you don’t run into shipping problems, what you get may not be worthy of the price. They can even unknown to you, overcharge your credit card. And if you do actually run into shipping problems, the customer service is unreliable to say the least. So chances are high that you may not get the 5-star experience you deserve. Fortunately there are other alternatives which we mentioned above. Either way, if you want to save money buying glasses online, you can also earn free gift cards and coupons on sites like SwagBucks.com. You can then use these gift cards or cash to shop for glasses online. All you need to do is keep doing what you already do online like watching videos, reading emails, playing games and more, and Swagbucks will reward you for your time. Sites like EBates.com also give you the chance to save money while shopping for glasses online. I hope you’re now in a better position to decide whether GlassesUSA products are the right fit for you. We would also love to hear what you think. Feel free to drop us your thoughts on the comments section below. You can also check out their FAQs page here if you have more questions. GlassesUSA has been one of the go-to stores for eyeglasses online. But they have been on the receiving end of some pretty shocking complaints. So we resolved to dig up all the good, the bad and the ugly about them and we have them all in our unbiased review. Over a month of trying to get a refund and I still haven’t spoke to someone helpful. $190 wasted.Such a bummer. Thanks for sharing your experience. Good to know about the return shipping issue.